All air conditioners are designed to cool—that is, to remove heat and humidity from interior spaces. If you are in the process of choosing an air conditioner, heed these important considerations before you buy. Window units are the most popular air conditioners, and for DIYers, they are the easiest to install and remove. This type of air conditioner fits in a window opening and vents to the outside. Through-the-wall units are larger and heavier than window units. Rather than sitting in a window, a through-the-wall unit rests within a weight-supporting air conditioner sleeve set into an exterior wall. Electric circuitry must be reviewed, especially in older homes, because these units often require greater amperage and voltage. Versatile by design, portable air conditioners—ideal for windowless spaces—exhaust through temporary ducting and can be moved from room to room. Central or whole-home units cool the entire house at once. Frequently combined with heating for a complete HVAC system, they are the most expensive option and typically require expert installation. Air conditioning capacity is measured in units called BTUs. 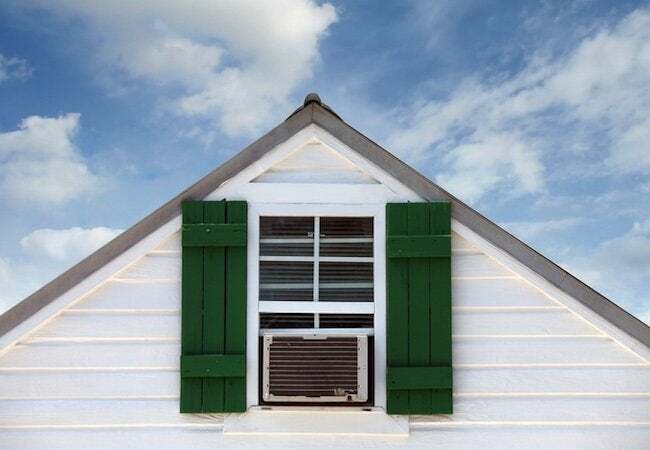 A small window air conditioner can deliver as few as 3,000 BTUs, while a through-the-wall unit can exceed 20,000 BTUs. Consult a handy BTU calculator to figure out exactly how many BTUs your air conditioner should have to keep your space cool. Energy efficiency is measured by the Energy Efficiency Ratio rating (EER)—the ratio of the cooling capacity in BTUs per hour to the power input in watts (the higher the EER rating, the more efficient the air conditioner). 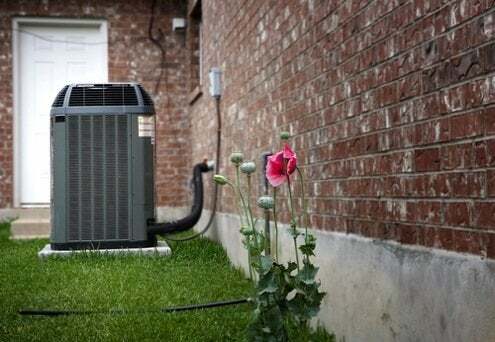 Air conditioners, especially older units, are among the most expensive appliances to run. Choosing an appropriately sized unit is critical, because a unit that is too small will not meet your cooling demands, and one that is too large will cost more to run and will not properly control humidity. In making your decision, first identify units capable of adequately cooling your space and then purchase the one from that group with the lowest BTU capacity and the highest EER rating. During the summer, air conditioners are an in-demand commodity, which means they are in short supply and consequently more expensive. You’ll save money if you buy during the off-season, when manufacturers frequently offer rebates. As well, some municipalities and utility companies offer rebates on units with minimum EER ratings. And if you opt for central air, you may qualify for a tax credit to offset the purchase of an efficient whole-home HVAC system. In general, your best bet is to buy before summer, and remember to look for a warranty.